Discussing The Obvious! Milestone Returns & Black Comic Con @The Grindhouse, 6pm This Saturday - Afronerd: The Blerd Revolution Has Begun! 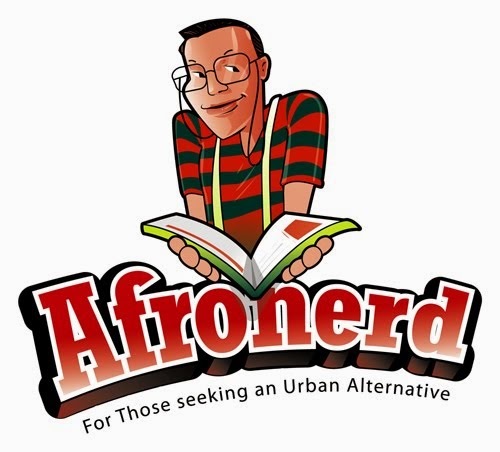 Greetings to our Afronerd podcast loyalists! Welcome to the latest episode of The Grindhouse (Mixtape), courtesy of Afronerd Radio airing this Saturday at 6pm (EST). Join Dburt, Capt. Kirk and the "Uncanny" Daryll B. as they combine forces (not unlike a Black Team Venture) to discuss the following topics: a more detailed retelling of the "goings ons" at last week's Black Comic Book Festival at Harlem's Schomburg museum; the next X-Men movie installment has a new set of younger actors; after a 20 plus year "hiatus" legendary minority themed comic book publisher, Milestone Media returns; actor Anthony Mackie (Winter Soldier, Black or White) appears to be receiving more blowback from his comments on race and profiling; thoughts on DC and Marvel upcoming event storylines-Convergence and Secret War, respectively; yet another police shooting (NJ) hits the media but does it bear scrutiny; Dburt highlights Marvel's new Deathlock comic; is "deflate gate" another "non-troversy," or does it have legs; tech talk with the new Hololens headset and prospective Mach I tube travel plans and lastly, is BET's reputation ruining any chance of a positive spin pertaining to their new miniseries, The Book of Negroes? Call the show live at 646-915-9620.